This documentation the differents functionalities of the library and how to use them. Some examples are shown at the end. If your subscribed to Prototypo the first thing you’ll need to do is go to the Prototypo App to get you library token. This token we’ll let you download the full templates from Prototypo. 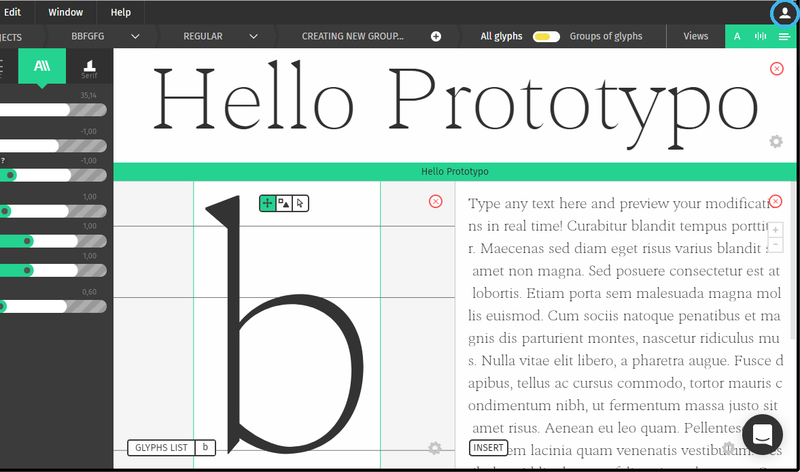 If your not subscribed to Prototypo your template will contain all the latin uppercases, lowercases and figures. Your token is found in the Developers section of the account dashboard. This is how to find it. Once you imported your script and created your font factory. It’s time to create some fonts. Creating font with the library is just one call to the createFont function. prototypoFontFactory.create('nameOfYourFont', Ptypo.templateNames.ELZEVIR);. The nameOfYourFont parameter should be a string and it will be the name of the font created in your browser. You’ll be able to use it in css. The second parameter is the template that you want to use. We offer four templates: ELZEVIR, FELL, GROTESK and SPECTRAL. They correspond to the template offered by the prototypo application Elzevir, John fell, Grotesk and spectral. Changing the parameters of the font is as easy as creating it. Just call the changeParam method on the object returned by createFont. 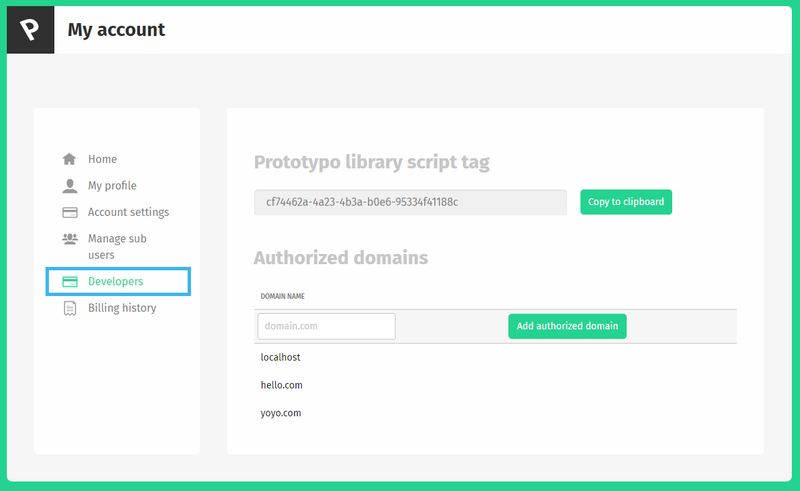 You can see what parameters are available in the API documentation. Here you go! You’ve created a font and are ready to customize it. A promise that resolve to a PtypoFont object. This object is used to manipulate the font created. The first examples is all about consistency. For font to feel consistently thick dark font on light background have to slighty heavier than light font on dark background. This is due to the light characters bleeding on the dark background. In this example we create a simple text that can be switched from light mode to dark mode. We adjust the thickness of the font accordingly. We use a transition to mask the small computing time of the font. See the Pen bRKbxY by Francois Poizat (@FranzPoize) on CodePen. Ok let’s get crafty for this second example. You can check how the titles resize by resizing your window. See the Pen vZrRVW by Francois Poizat (@FranzPoize) on CodePen. We start By creating three fonts. Two for the different level of headings and one for the body. We use the batch update to initialize the fonts parameters. This is how we get the two formulas for the width. We just need to add a listener for the resize event on the window to trigger the generation of updated fonts. We use a throttle to avoid to many calculation.